Don’t confuse aerobic and anaerobic exercise no more. The key to a successful diet is being able to find the right balance between both. This why you can lose weight and keep it off at the same time. Exercise can be broken down into two types, aerobic and anaerobic exercise. By knowing the characteristics of different exercises and how they affect your body is how you are going to find the exercise that works best with your diet program. Aerobic exercise is defined as exercise with known beneficial effects inside the body stimulating your cardiovascular and respiratory system over a long period of time. Simply speaking, what this means is that it is a low-intensity exercise that is easy to maintain over time. What benefits does aerobic exercise have on your body? With aerobic exercise there are two benefits that you can look forward to. Aerobic exercise, allowing you to burn of more fat and lower cholesterol is said to particularly effected when combined with you diet. What aerobic exercises are out there? 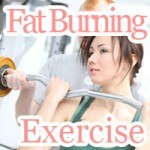 Well known aerobic exercises are walking, jogging, cycling, and swimming. Although each exercise can be done at an aerobic level, the merits of each differ. When trying to decide which exercise is right for you, it is useful to look at the merits of each individually. That is where this next table comes into play. Easy to get started even when you are alone. Doesn't require the use of special equipment. Can be done just about anywhere. but allows time to fly by as you exercise. Recommended for people with knee problems and help people that are over weight exercise without hurting themselves in the process. Let's first state by refreshing on how we defined aerobic exercise, low-intensity and easy to keep up with. These two key points are important to keep in mind while you are exercising. If you let your breath get away from you causing your heart beat to rise too high, you are not doing aerobic exercise. It is easy to slip up and send your body into an anaerobic level, losing the benefits of aerobic exercise. Conversely, if while you are walking, you let your pace slip to a stroll too comfortable to be called exercise, the benefits of aerobic exercise done right are lost. That is why as you walk, it is important to remember that you are exercising and to keep your pace from slipping too slow. Although aerobic exercise is effect in helping you burn off fat, stopping in the middle of exercise nullifies this effect. Aerobic exercise should be done for at least 20 minutes. This allows your body to metabolize fat found inside your blood vessels. After this fat is used up, your body can then start breaking down fat and cholesterol inside the body. This is why aerobic exercise should be continued for longer periods of time compared to other exercises. Although as important as getting the benefits exercise has on your body, there are many of us that aren't able to keep up with the routine for more than 20 minutes. As a preventative measure, ensuring we don't get hurt, it is recommended that you start off with 10 minutes routines. As your body gets use to more and more exercise, gradually increase the amount you do to 20 minutes or more. Overdoing it in the beginning not only takes more effort than you need to put in, but also makes it hard to turn into a habit. Go at a pace that is right for you. Anaerobic exercise stems form the word anaerobe, pertaining to the ability to function without oxygen. Knowing this you may be wondering how it is you are going to breath without air or may be fetching your swimming hat and goggles getting ready to head to the pool. Don't stop reading yet. Anaerobic exercise differs from aerobic exercise in the respect that while do it glycogen in your muscle tissues active to produce the energy you need. Since anaerobic exercise doesn't require oxygen the way aerobic exercise does, continuing it over long periods of time is difficult and leads to fatigue. On the contrary, this type of exercise allows you to use your body to its full capacity. Anaerobic exercise has an effect of boosting your body's metabolic rate. By giving your metabolism a boost, it becomes easier to burn of energy when you are not exercising (sleeping) requiring more energy to keep your body running the way it should. This gives your body what it needs to be able to burn off more calories, making losing weight easier. As you age, along with other things, you metabolic rate decreases. This is why it is often thought it is easier for you to gain weight as you age. For those with low metabolisms, aerobic exercise is recommended for those feeling like old age is taking its toll, making it harder to maintain your weight. What anaerobic exercises are out there? Amongst other well-known activities, weight training and sprinting are effective anaerobic exercises that can help boost your metabolism. 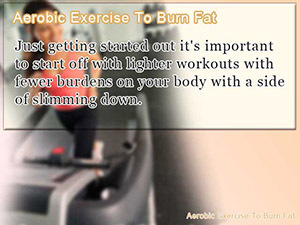 However, by increasing the intensity of aerobic exercise, it is possible to get a anaerobic workout. For example, although jogging may be an aerobic exercise, by increasing the pace at which you jog, it turns into an effective anaerobic workout. How you judge whether your jogging is aerobic or anaerobic can be done in the following manner. If you are able to jog while comfortably having a conversation, then you are doing an aerobic exercise. However, on the other hand if you find yourself having to stop for a breath mid-sentence, then you are definitely doing an aerobic exercise. The same procedure can be use with regard to other activities, such as swimming. Note that it is also possible to get an aerobic workout while lifting weights if done at the right pace. Keep this in mind when you are working out next time, which type of exercise you are actually doing. Does aerobic exercise help you put on muscle mass? Although it is easy to confuse weight training with bodybuilding, it's harder for women to put on muscle mass and get ripped out as men. This is way you shouldn't be worried too much about bulking up as long as you keep the intensity down. 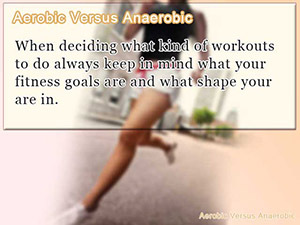 Balancing both aerobic or anaerobic is key! It's easy to associate diet and weight loss with aerobic exercise. However, after losing weight how you get it back is by combining both aerobic and anaerobic exercise. 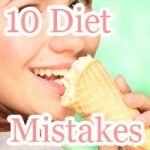 List of recommended exercises to lose weight fat plus METS to do it right. All inclusive list of aerobic exercise that will not leave you hanging not knowing what to do. When deciding what kind of workouts to do always keep in mind what your fitness goals are and what shape your are in. Just getting started out it's important to start off with lighter workouts with fewer burdens on your body with a side of slimming down. 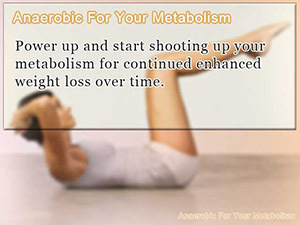 Power up and start shooting up your metabolism for continued enhanced weight loss over time.